How do you get the V Line Abs? Ah the “v Line”! You know… those two lines of definition on the lower abdominals that are basically pointing to your crotch. Some people affectionately call them the “money maker” because when you can show that off you know that you are truly ripped and elite. That “V” is shaped between the oblique muscles and some people think they are more of the abdominals because they can make a six-pack look like an eight-pack. But the v line abs aren’t pronounced by using specialized workouts, they are earned through leanness. They only way you will be able to see them, unless you are one of those naturally lean and shredded people that most of us hate, is by getting your bodyfat below 10 percent. Ideally 8 to 10 percent should result in showing off some v cut abs. Weight training, including abdominal and core work, is recommended. However what will determine your success truly is diet and cardio. If you were to put this into percentages it is easily 70% diet and then 15% cardio and another 15% in weight training. People think that it is the other way around and they can get by on a sub-par diet; but you can’t, at least not if you want v cut abs. All of the excess sugar and junk you take in everyday affects how your body stores calories along with usually leading to excess calories you then fight to keep off. For this program you want to be in fat burning mode without even hitting cardio so that when you do it is twice as effective. You still need to hit the weights because muscle is important as well. Workouts – Aim for three full body workouts a week. Utilize a program with compound exercises only and include deadlifts, squats, and clean and presses. This type of lifting program elevates hormones and the metabolism. While you won’t be on the same growth pattern, it will maintain you and get you shredded which makes you look even bigger. 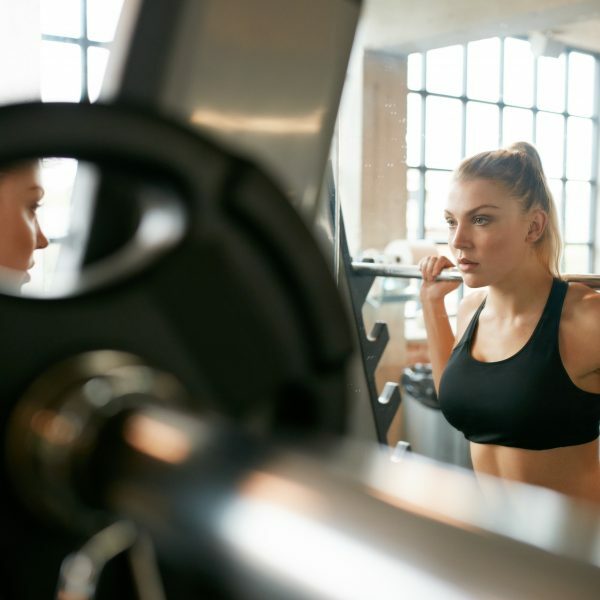 Cardio – Mix in two to three sessions of steady rate cardio of about 45 minutes to 60 minutes along with two high intensity interval training sessions of about 30 minutes each week. Stagger the workouts so you don’t do two HIIT workouts in a row. Diet – Cut back on all sugar and processed junk. Eat five to six small meals each day (or 4 meals and 2 snacks). Include protein in every meal along with either fresh fruits or fresh veggies. Dairy like yogurt and cottage cheese are fine. But you need to focus on eliminating all the garbage, especially in the morning. Breakfast needs to be your temple to start each day right and help retrain your body to shred fat rather than store it. Try and start with scrambled egg whites and whole cut oats topped with fruit. Instead of coffee loaded with sugar and cream go black or drink plain green tea. Skip soda and beer, replacing them with water and lots of it. The only way to get the v line abs is to get shredded. Diet is the big key along with a balanced workout that maintains muscle mass and burns fat effectively. Those ratios of 70/15/15 are completely accurate as plenty of people have proven that they can get ripped on diet alone.